DOB: 02/25/2006 BW: 78 lbs. 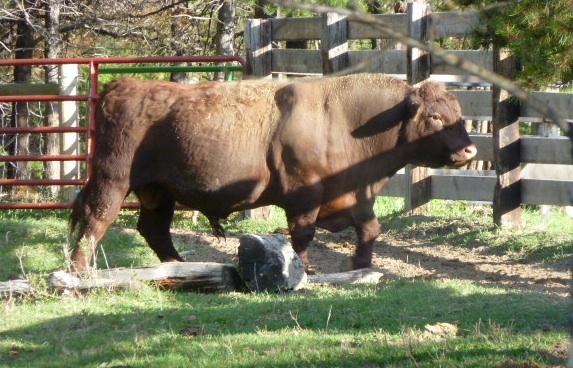 Herd Sire " YY Red Mission Gold BM51T"
Mission has proved to be an outstanding bull! He produces moderate birth weight calves with healthy rate of gain. 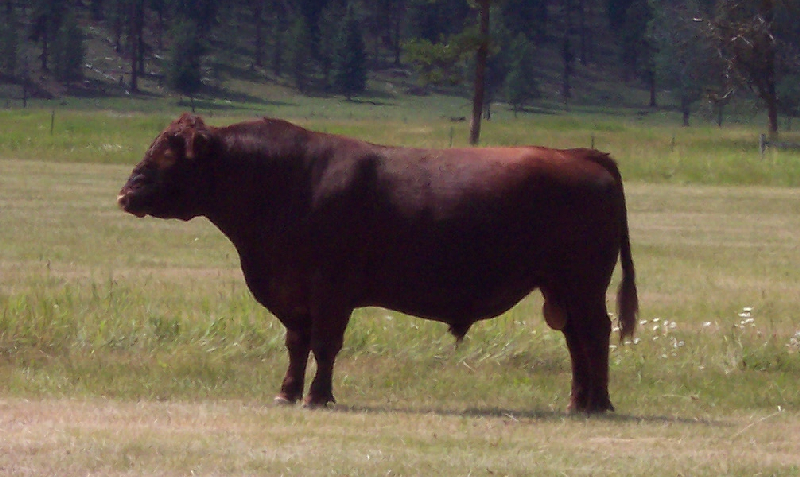 In 2011, Mission's heifer took Grand Champion at the NW Montana Fair. 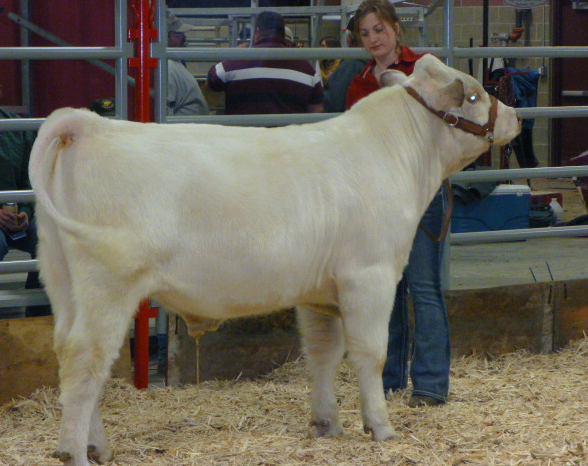 A Mission steer placed 5th out of 35 at the fair. His steer had a 13-1/2" ribeye! We are impressed with his calves!﻿ This bull sired 2012 Steer of Merit. 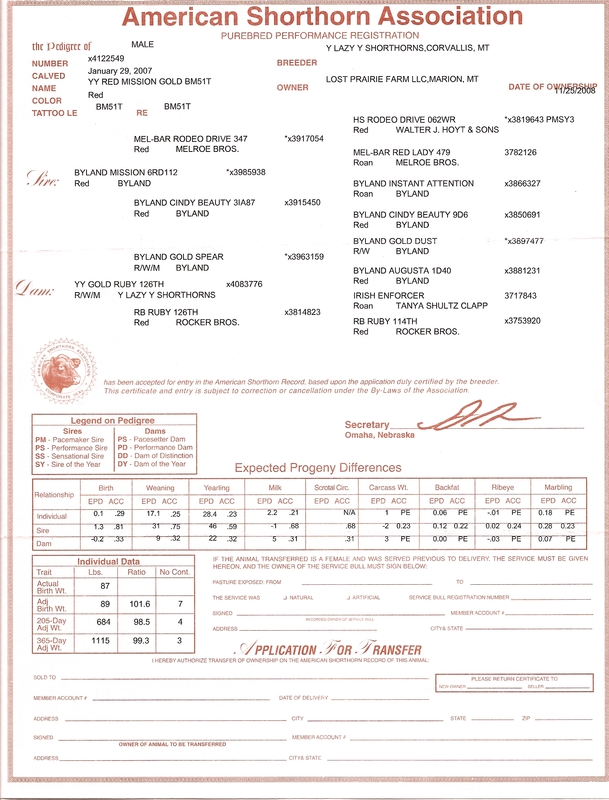 POLAR BEAR is an outstanding bull and we are thrilled to add his genetics to our breeding program. Polar Bear brings highly sought after old Shorthorn genetics to NW Montana and we are excited to see his 2013 fall calves. Our Shorthorn heifers were bred early winter 2012 for 2013 fall calves. If you are interested in being placed on our waiting list for a Polar calf, please let us know! Please contact us anytime or stop by for a visit! We look forward to hearing from you.